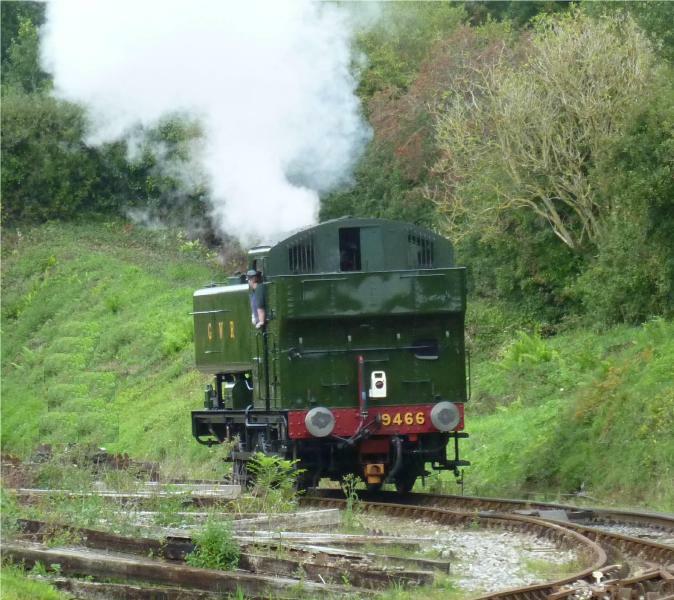 Hot from its success on the Looe branch, Dennis Howells arrived with his engine at Totnes on Monday morning, having run up the main line from Plymouth, 'light engine', and transferred off the main line onto the South Devon Railway. 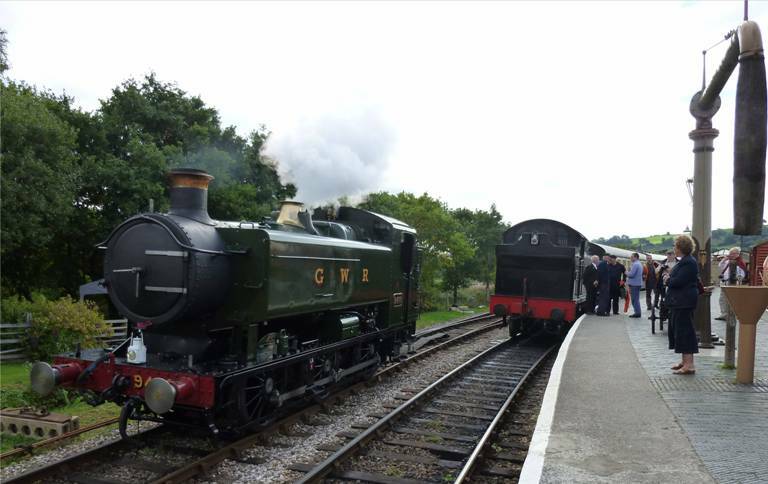 The locomotive was en route to Buckfastleigh Works where we will be building it a new set of pannier tanks over the coming weeks. It was so nice to see an engine arrive as it should do, by rail and not on the back of a lorry! The pictures shew it at Totnes, coming off the mainline, sitting in the loop alongside 5526 which was heading the 11.30am to Buckfastleigh, and later on heading off from Totnes towards Buckfastleigh.